We have gradually but ineluctably transitioned from the separation of powers to the separation of parties. In early 2016, congressional Republicans established a “Task Force on Executive Overreach,” the central purpose of which was to document every instance in which President Barack Obama had incorrectly exercised legislative power — and to make recommendations for how Congress might reclaim its constitutional authority going forward. But at hearing after hearing, on topics ranging from foreign affairs to health care to immigration, the Task Force heard the same thing from both Republican and Democratic witnesses: Executive overreach had become a bipartisan phenomenon of American government, and is rooted almost entirely in Congress’s abdication of its constitutional role. The much-ballyhooed Task Force quietly finished its work — and never issued a public report. Like controversies over unilateral actions taken by Obama, the controversies surrounding many of President Donald Trump’s moves reflect something beyond mere partisan politics. Like controversies over unilateral actions taken by Obama, the controversies surrounding many of President Donald Trump’s moves reflect something beyond mere partisan politics; they reflect a fundamental breakdown in the separation of powers — one that will take far more than electing a president of a different party to heal. Simply put, we have gradually but ineluctably transitioned from the separation of powers to the separation of parties, and it’s going to be very difficult to reclaim the Founders’ original understanding. The controversy surrounding Trump’s declaration of a “national emergency” in order to help build his border wall perfectly illustrates the depths of the problem. Although current headlines are understandably focused on the rebuke that Trump received at the hands of Senate Republicans, the broader episode is a reflection of how a series of legal and political developments have only empowered the presidency at the expense of the legislature. 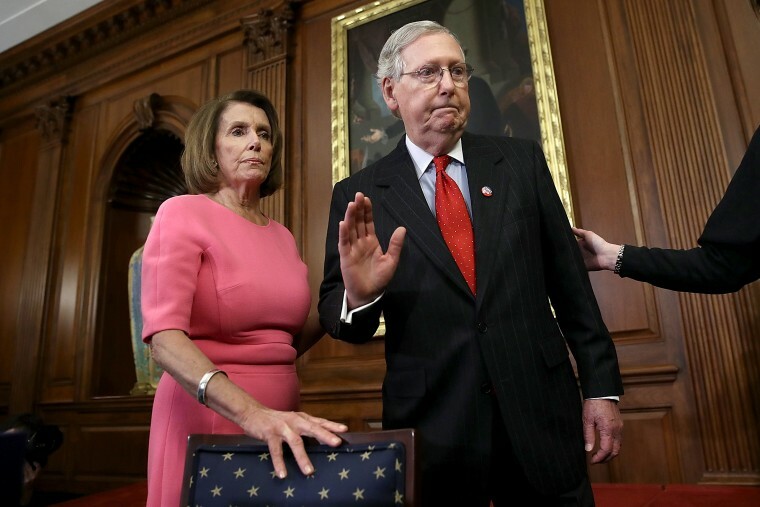 To start with, in the National Emergencies Act of 1976, Congress delegated remarkably broad authority to the president to take a wide (and alarming) array of actions anytime he (and, arguably, he alone) determines that there is a “national emergency.” Thus, although there is serious reason to doubt whether the present situation along the southern border truly is an emergency, Congress provided almost no substantive yardstick against which the president’s claim could be measured. Instead, the principal check Congress built into the National Emergencies Act was a “legislative veto” — a provision that would have allowed Congress to terminate any national emergency through a majority vote of both houses. In 1983, though, the Supreme Court held that legislative vetoes are unconstitutional insofar as they allowed Congress to change federal policy without following the Constitution’s formal procedures for doing so. In response, rather than making it harder for the president to declare a national emergency in the future, Congress made it harder to stop him — requiring a new statute to end an existing emergency. Assuming that any president would veto such a statute, the National Emergencies Act in effect now requires veto-proof supermajorities of both the House and Senate in order to reject the president’s claim. Thus, even though both the Senate and the House voted to terminate this most recent emergency, there weren’t nearly enough votes in either chamber to override Trump’s promised veto. That reality reflects another reason for the drift of power from Congress to the executive branch: the increasing reluctance of members of Congress to defy a president of the same party, even on matters of principle. In the House, only 13 Republicans voted to terminate the president’s national emergency — a stunningly low figure given how many of the same representatives repeatedly railed against comparable actions by Obama. Incredibly, almost the same number of Republican Senators (12) also broke ranks, suggesting either that those Senators are more willing to cross Trump, or that the small number of defections in the House provided political cover. Part of this party unity can almost certainly be traced to the well-documented polarization of Congress in recent decades. If most seats in Congress are “safe” for members of one party or the other, then primary elections become more important than general elections — and so there is less reward, and far more risk, in members of Congress defying their party’s base. Some celebrate the fact that this political reality makes it increasingly difficult for the political branches to accomplish anything new when there is divided government. So be it. But it’s worse than that: As Trump’s “national emergency” declaration underscores, these politics make it impossible for Congress to pull back authority it has previously granted to the president (or his predecessors), because there will almost never be veto-proof (bipartisan) supermajorities of both chambers that will agree to such a measure. In other words, the more polarized that Congress becomes in a country that remains closely divided, the more power that the president will be able to claim — and exercise — for no other reason than because Congress won’t have enough votes from members of his own party to stop him. The Constitution’s drafters, who famously failed to foresee the rise of political parties, assumed that the different branches of the federal government would have incentives to push the limits of their powers, and, in the process, to serve as checks on each other. As James Madison wrote in “Federalist No. 51:"
the great security against a gradual concentration of the several powers in the same department, consists in giving to those who administer each department the necessary constitutional means and personal motives to resist encroachments of the others. The provision for defense must in this, as in all other cases, be made commensurate to the danger of attack. Ambition must be made to counteract ambition. The Constitution’s drafters, who famously failed to foresee the rise of political parties, assumed that the different branches of the federal government would have incentives to push the limits of their powers. The constitutional means persist, but the personal motives have changed. So long as that remains the case, there will only be more examples of presidents claiming to possess powers, whether by statute or inherent constitutional authority, that a majority of Congress (to say nothing of the American people) oppose. There are band-aid solutions, to be sure. Congress could (and should) place more sunsets on statutes like the National Emergencies Act — to require Congress to ratify, rather than disapprove, the president’s use of such sweeping and controversial authorities. Imagine, for example, if the 2001 Authorization for the Use of Military Force, which Congress hasn’t amended once in the 17.5 years it’s been on the books, had to be revisited every three years. Utah Senator Mike Lee’s “ARTICLE ONE Act” is a positive step in that direction, albeit a rather belated one. But long-term solutions will have to run far deeper — and be directed toward reducing polarization in Congress and incentivizing rigorous policing of the executive branch even (if not especially) by members of the president’s party. Until and unless that happens, there will only be more controversies like Trump’s “national emergency,” and further drift of Congress’s constitutional authority to this (and future) presidents.